Craig doesn't have a winery or a shop. 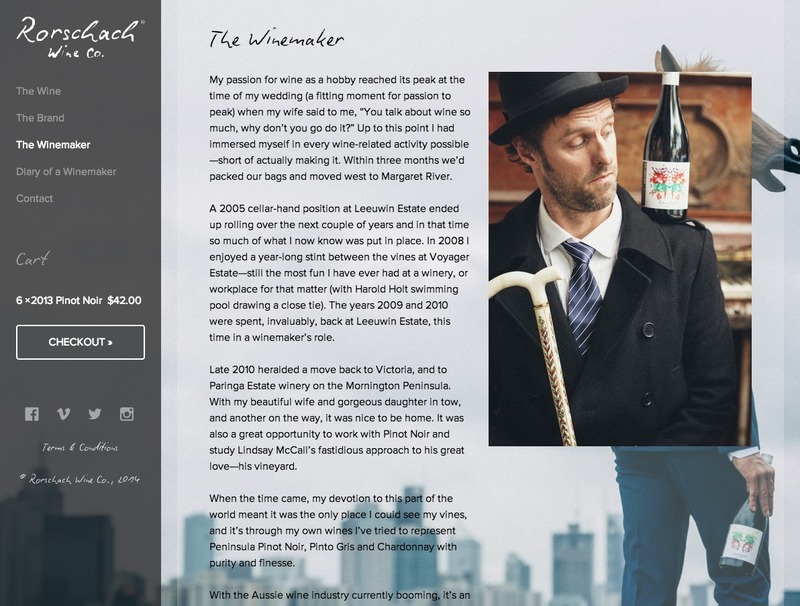 As an online wine merchant, his website is the first and only port-of-call for people who want to buy his Rorschach Wine Co wines. So more than most, he was frustrated with the way some sites made it a complex and confusing chore just to buy the products advertised. 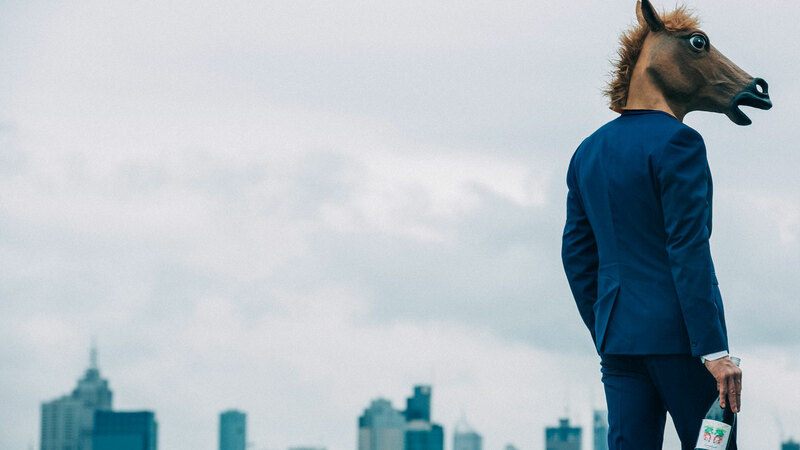 He wanted a website that was engaging and user-friendly and didn't get in the way of its ultimate function – selling wine. But to Craig, Rorschach Wine Co is about way more than the wine. “The brand is my baby," he wrote to us. “There is a lot of meaning behind it all for me." 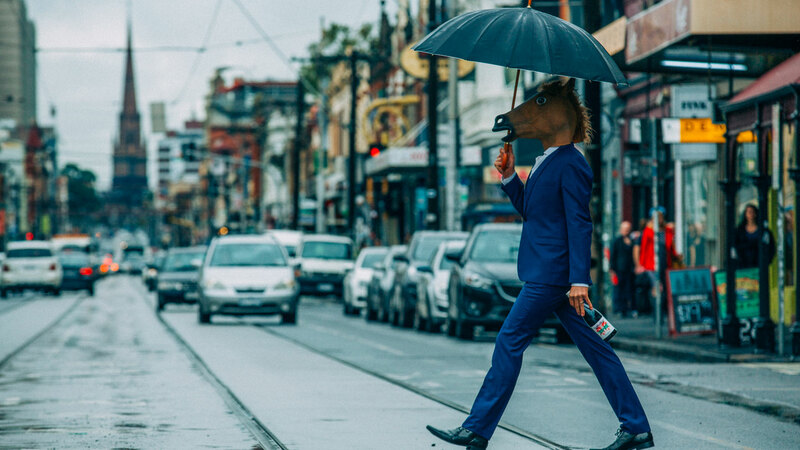 Eager to set himself apart from the crowd, he established a strong and eccentric brand identity. For his new website, Craig wanted some space to let his unique, avant-garde brand be itself and shine through. 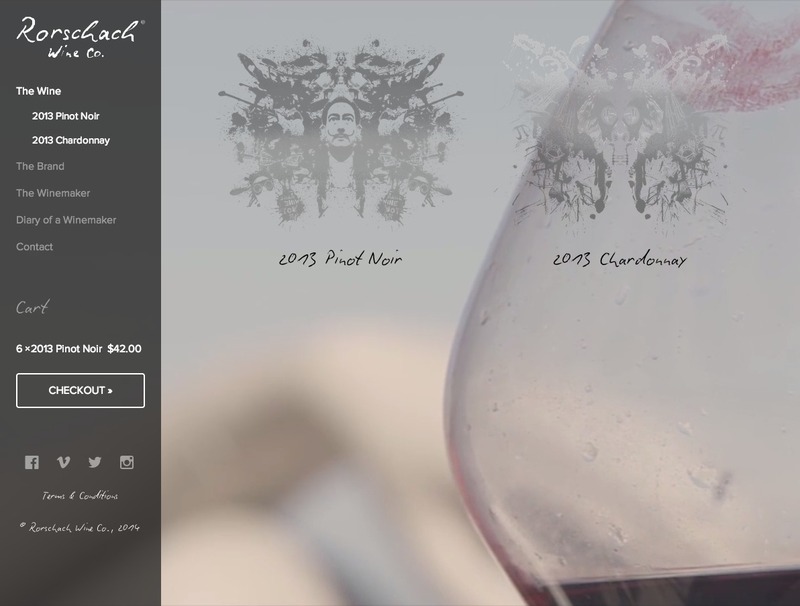 Our top priority was to strike the perfect balance between a strong design and an easy shopping experience – two equally important objectives for Rorschach Wine Co.
We started with a simple website design and layout. 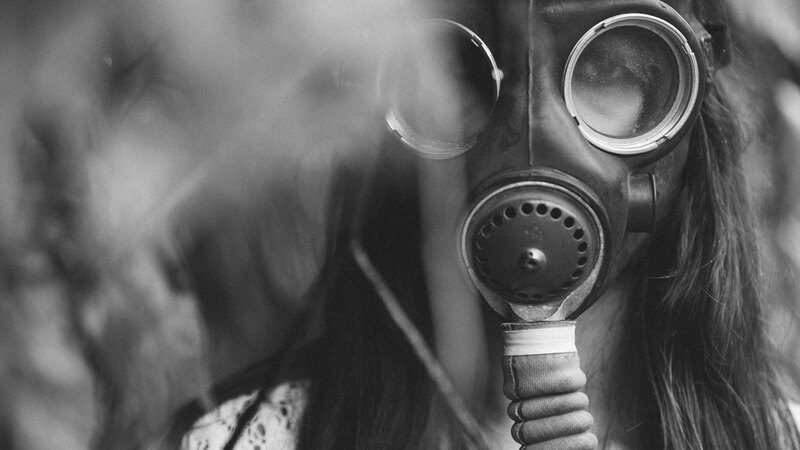 That way, we wouldn't draw attention away from the product, the content and the brand. 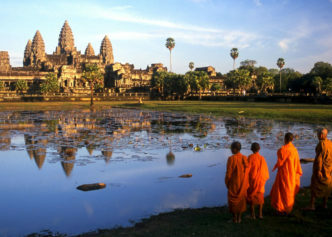 Most importantly, it ensured the website was easy to use, navigate and, ultimately, buy from. We also built it with a responsive layout to ensure that this easy-to-use simplicity carried through in all browser sizes and across all devices. An artful and engaging aesthetic showcases the brand and draws in customers. It was built with Expressionengine with Expresso Store and payment via ANZ eGate. 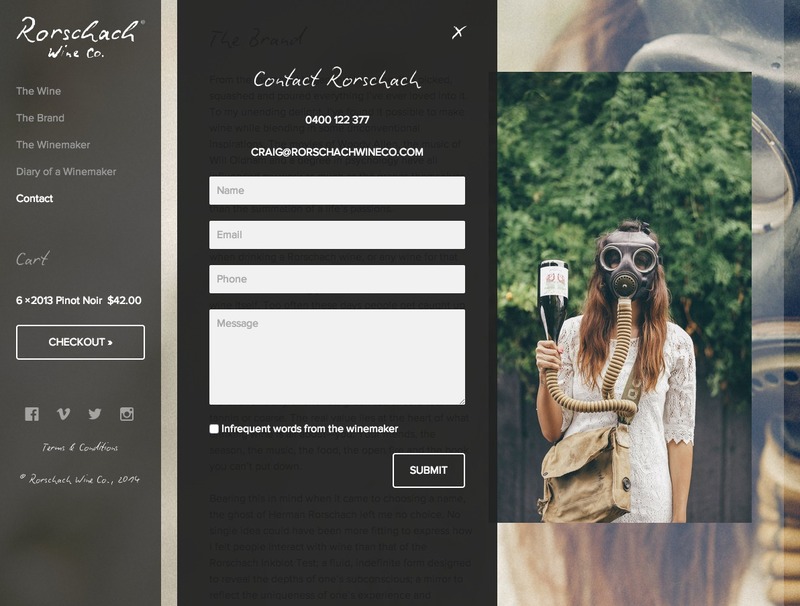 Firstly, we needed to give Rorschach Wine Co a web presence so the brand could start building an audience. We set up a countdown landing page to build the anticipation and let customers know when the product would be available. 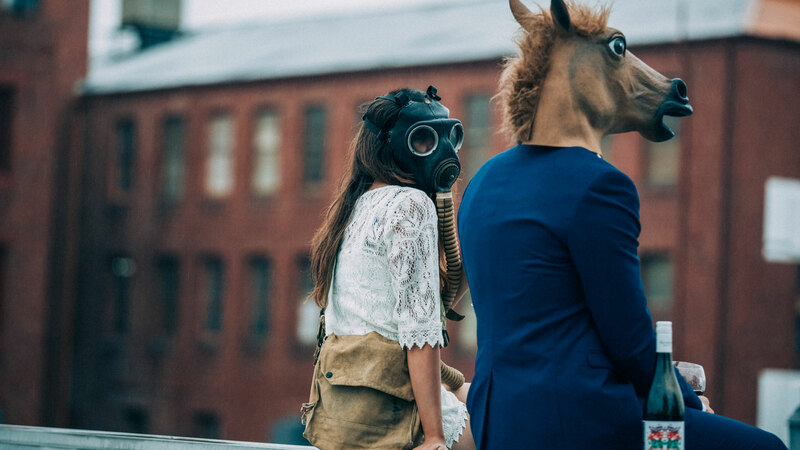 We also integrated the page with email program MailChimp and social media platforms, meaning by the time the brand launched a few months later it already had an engaged following and ready-to-go customer base. At one stage during our extensive discussions with Craig, we got on to the topic of music videos. It was a Eureka moment. 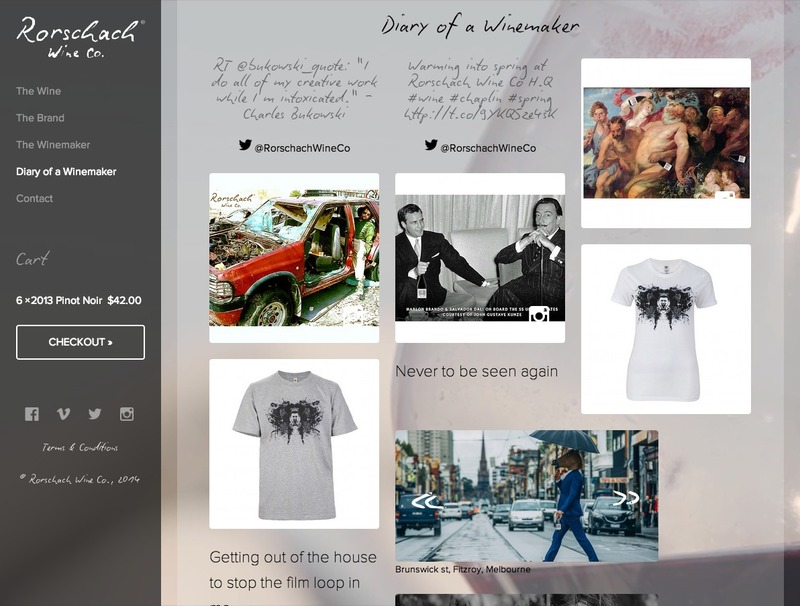 We made a video background, giving the entire website a sense of dynamic movement as well as showcasing the Rorschach Wine Co brand. With the increasing rate of smart phone use we knew the website had to be optimised for mobile. 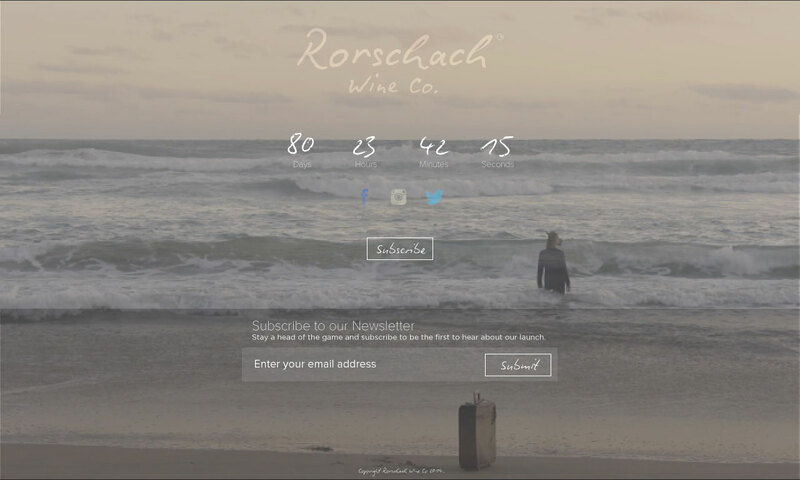 To make sure customers never missed an opportunity we took a mobile-first approach to eCommerce, making Rorschach Wine Co a 24-hour cellar. 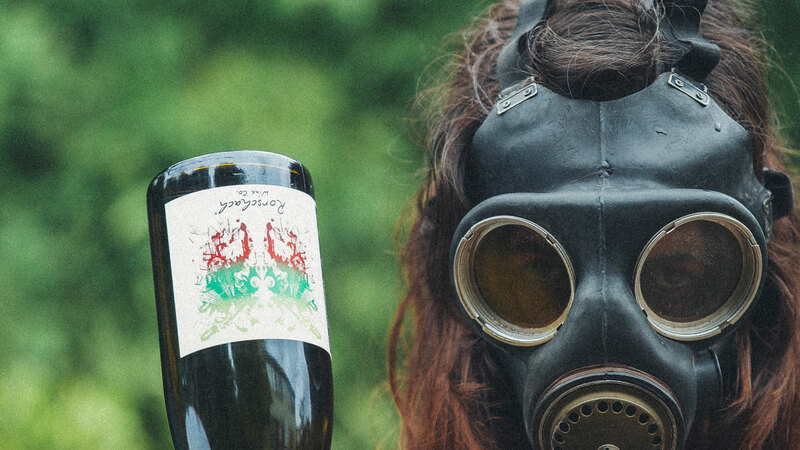 We discovered that Craig’s personality was the driving force behind Rorschach Wine Co's brand. Instead of drumming up a boring blog, we put together a Diary of a Winemaker. This custom-designed, stream-of-consciousness series of reflections came straight from the winemaker himself, adding to the brand’s personality. To make sure it was up to scratch, we reviewed the content and provided our copy editing services too. 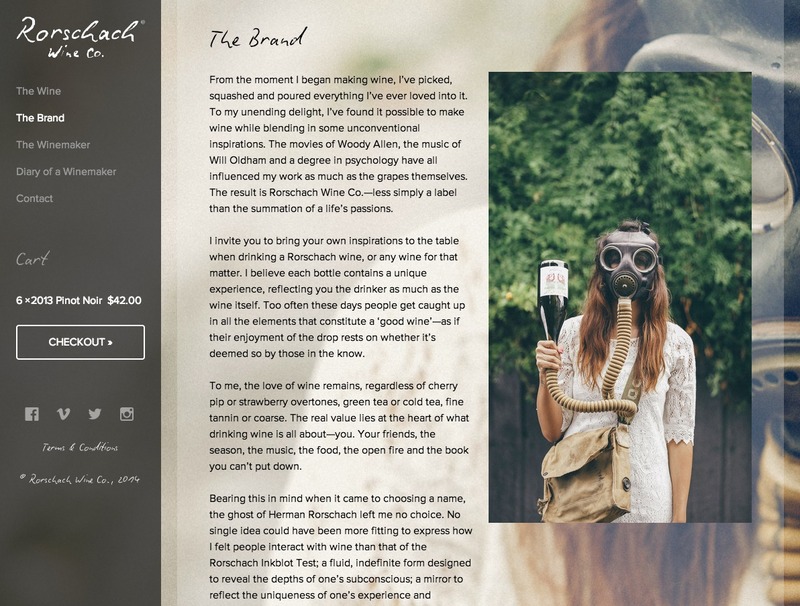 We wanted the Rorschach Wine Co website to have the feeling of fluidity. In addition to the video content we added some subtle movement and animation to the page interactions using PJAX. We wanted the experience of buying a bottle of wine to be seamless and engaging up to and including the checkout. So we made the checkout experience as immersive as possible by fading the background, breaking it into steps and adding transitions so the user wasn't discouraged by a lengthy form.